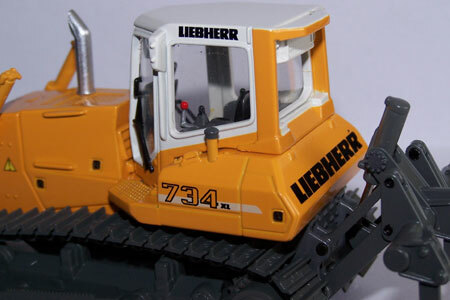 This is the Liebherr PR734XL, made by Brami. 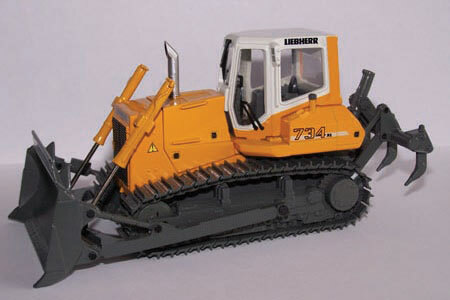 This is the first bulldozer model in the new color scheme of Liebherr. 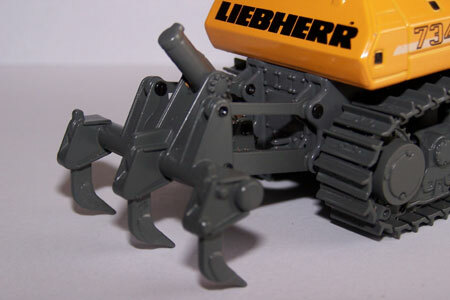 ...and the ripper is build with many details too. 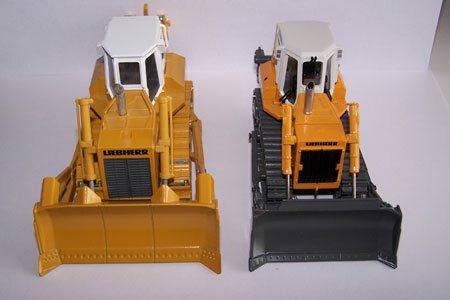 The PR734XL next to his big brother, the PR752 by Conrad. The PR752 also has a good detail level, but the the Brami model just looks more realistic.